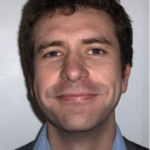 Dr Terry Quinn is a clinical lecturer in geriatric and stroke medicine based in the Institute of Cardiovascular and Medical Sciences, University of Glasgow. His principle research interests are around describing longer term outcomes after stoke, trial methodology and the accuracy of screening tools for cognitive and physical problems. He has developed best practice and guidance statements for conduct and reporting of studies and has co-created a number of online training resources for researchers. Current active research areas include creating short form versions of lengthy test batteries; describing the evidence base for cognitive screening and incorporating functional and cognitive assessments into clinical trials. He has published extensively on stroke and dementia; he is principal investigator on grants from various bodies; he holds editorial board positions with several journals. He combines his research portfolio with active teaching and clinical commitments in the stroke and old age assessment wards of various Glasgow hospitals.